Nutrition is a 3-part process. First, food or drink is consumed. Second, the body breaks down the food or drink into nutrients. Third, the nutrients travel through the bloodstream to different parts of the body where they are used as 'fuel' and for many other purposes. 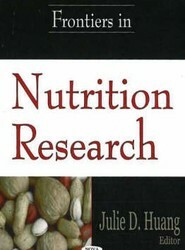 This book examines research in this field. Birth defects are defined as abnormalities of structure, function, or body metabolism that are present at birth. These abnormalities lead to mental or physical disabilities. There are more than 4,000 different known birth defects and they are the leading cause of death in the first year of life. 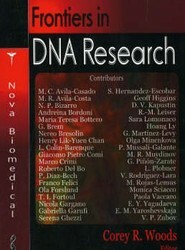 This book presents research in this field. Pain is an emotion experienced in the brain, it is not like touch, taste, sight, smell or hearing. It is categorised into Acute Pain less than twelve weeks duration and Chronic Pain if over twelve weeks. 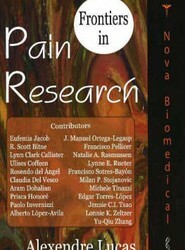 This book examines research into the causes, symptoms and treatments of pain. 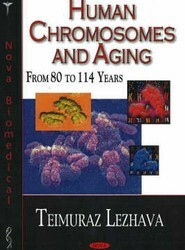 Presents a comprehensive review of the morphology and function of chromosomes in elderly people. This book focuses on heterochromatinisation as a key determinant of the genetic apparatus function during senescence and an area to seek life-prolonging interventions. It illustrates the progress in the field of cytogenetics of ageing. Deoxyribonucleic acid (DNA) is a chemical found primarily in the nucleus of cells. DNA is a long, spiralling molecule that orchestrates the cell's daily operations and provides the genetic blueprint for the physical characteristics of all living organisms. This book presents leading-edge research in this dynamic field. Cancer vaccines are intended either to treat existing cancers (therapeutic vaccines) or to prevent the development of cancer (prophylactic vaccines). 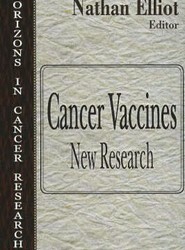 Both types of vaccines have the potential to reduce the burden of cancer. 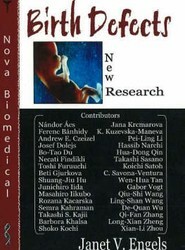 This book presents research in this field. 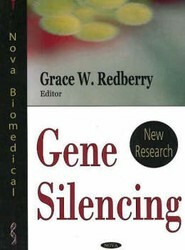 Gene silencing is a general term describing epigenetic processes of gene regulation. The term gene silencing is generally used to describe the 'switching off' of a gene by a mechanism other than genetic mutation. Genes are regulated at either the transcriptional or post-transcriptional level. 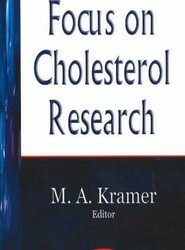 This book presents the research in this field. Cholesterol is an important part of a healthy body. But a high level of cholesterol in the blood - hypercholesterolemia - is a major risk factor for coronary heart disease. Cholesterol and other fats can't dissolve in the blood. They have to be transported to and from the cells by special carriers called lipoproteins.